Part three in a three part series on reinventing the Maine countryside. My morning started with the usual coffee, a side order of a creamy eggnog, and a quick summer run. Someday, I’ll manage to do the run piece earlier, before the heat and humidity set in. Until then, it is what it is. Running is an opportunity to commune with nature. When I’m out with the trees, babbling brooks, and pesky deer flies, my thoughts are freer. As I journeyed on my six mile loop, I reflected on the “Confection Election” fundraiser the Wilton Free Public Library had a couple of weeks ago. 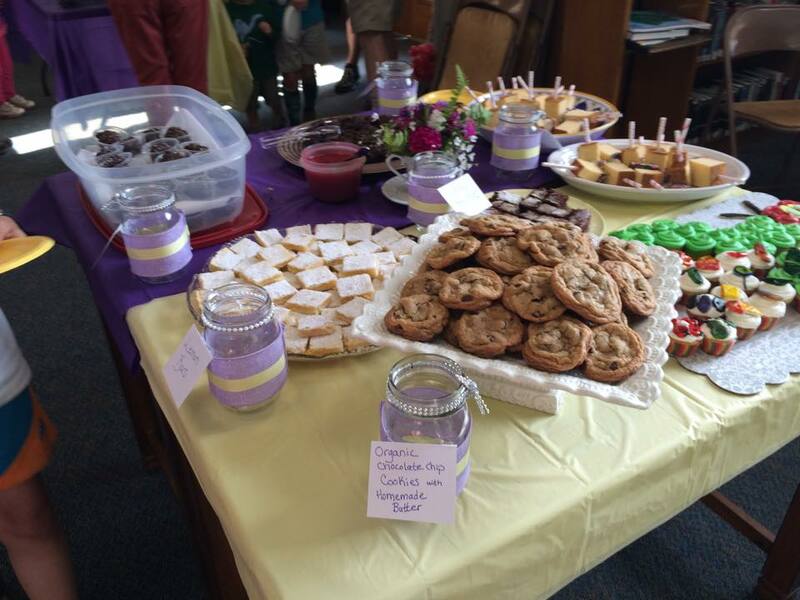 They invited entries of homemade dessert confections which would be judged by those attending. My friend, Ashley, had encouraged me to enter. Well, encourage, push, it’s all the same between friends, right? I love to cook, so it didn’t take a big push. I walked in to see dozens of entries! Brownies, which I knew would be tough competition, as I knew the baker to have a stellar reputation. Cupcakes. Candies. It was truly a decadent display of creativity and culinary skills. My quiet Organic Chocolate Chip cookies were up against stiff competition! The evening held opportunities to listen to local fiddle music, participate in karaoke, children’s activities, and mingle with old friends and new while sampling confectionary delights. No one was shushed for talking and no one made mention of overdue book fines. Phew! During the evening, I had a conversation with Wilton librarian, David Olson, on further integrating the library with the community. I’m quite proud of this library. I have fond memories of joining together with friends, as our children listened to stories and created with crafts. My children are long grown, but the desire has not diminished to see this community gathering spot grow into more than a safe harbor for books and computers. A few days ago, I went back to chat with David of his vision and was not disappointed. Town directors had requested fundraisers that would draw the general public, not only library patrons. From this directive, a soldout Mexican dinner and “Confection Election” was born, being conscious of library community events being kid friendly as “friendraisers”, not fundraisers. Wilton’s library is a “family place”, one that encourages learning with family, fun and conversation in a safe haven. I love that! 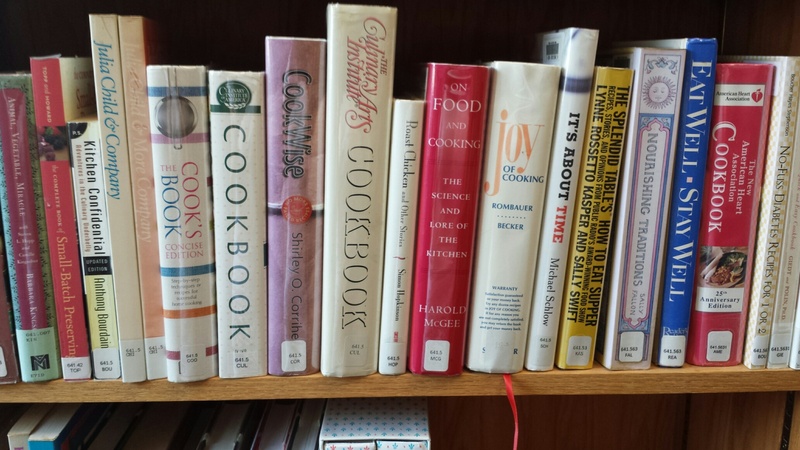 As often happens in a library, our talk of an anticipated addition of a “café” turned to books, specifically, cookbooks. David showed me the present collection and new additions waiting to be catalogued and find their rightful place. There are the old standbys of familiar chefs Julia Child and Martha Stewart, as well as newcomers. I caught a glimpse of a newer version of one of my old favorites, “The Joy of Cooking”. I have an extensive cookbook collection, which I tend to read like other books. Several offer glimpses of days gone by. They admonish the woman of the home to be not late with dinner and how to set a table. You’ll find “how to dress a deer” and “best method for plucking partridge”. Yesterday’s recipes were from scratch using standard pantry ingredients and methods like “bake until done”. They were reliable as an old friend. Cookbooks hold more than recipes to rescue the cook when asked: “what’s for dinner?” While new ones call to me from bookstore shelves, some are gems, but more often offer glitz and glamour, rather than more simple things like “101 Ways to Scramble an Egg”. David and I reflected on the place of online recipe offerings replacing the pages of tattered, coffee splattered, ring-tinged, torn and taped, old-fashioned cookbooks. Books with starred recipes and remarks like “make again” or “don’t make again, Dad didn’t like it”. Smiles or tears await release when recalling memories associated with a shared meal. My cookies won first place. I knew you were wondering. I won much more in the sharing of food, friendship and the love of libraries.